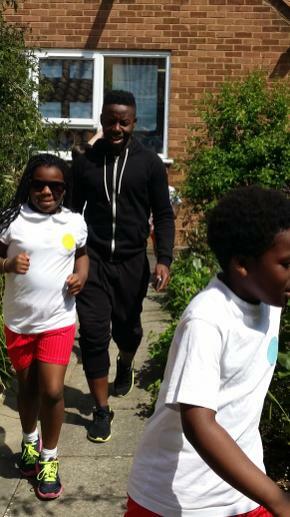 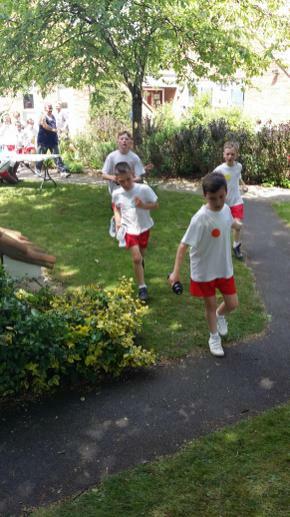 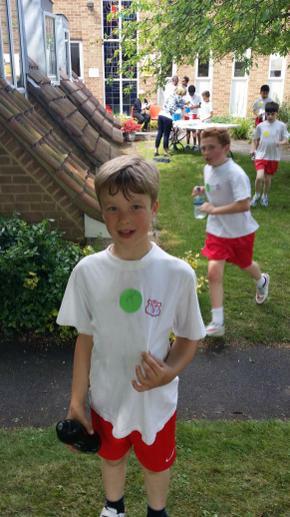 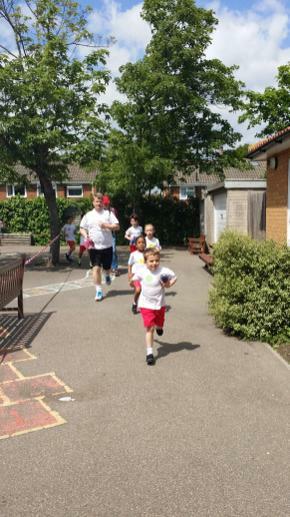 A massive thank you to everyone who took part in the Fun Run on 21 May. 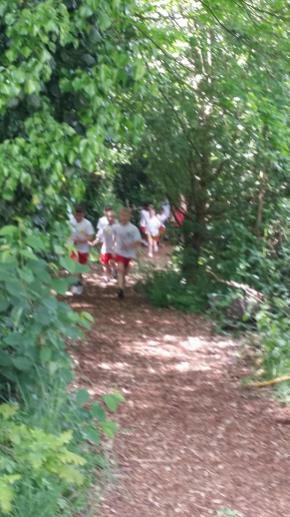 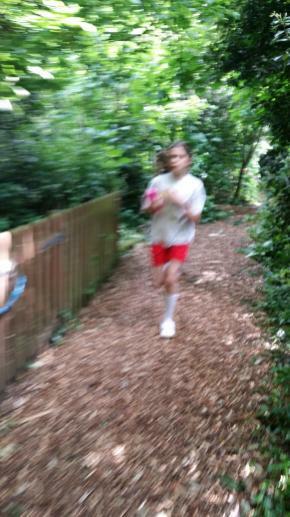 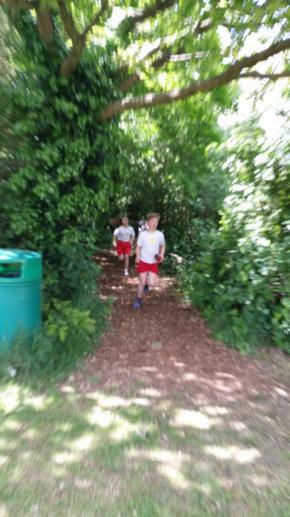 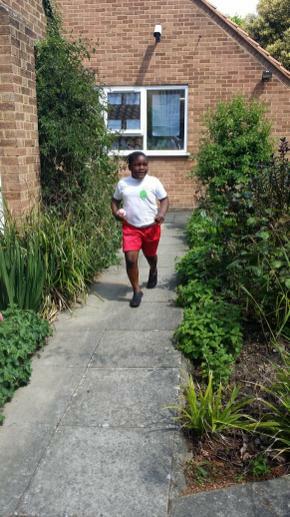 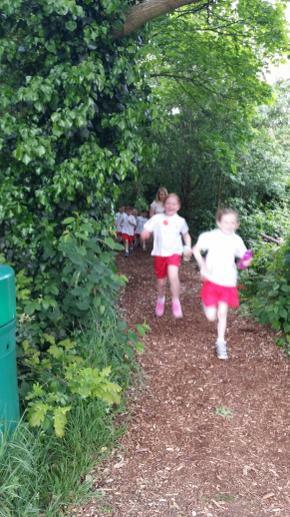 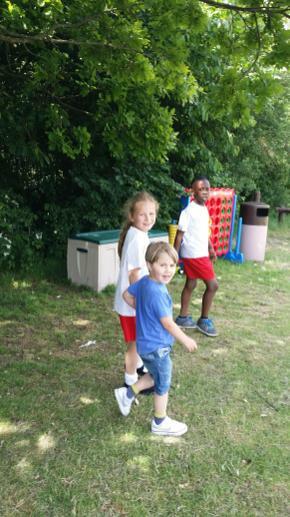 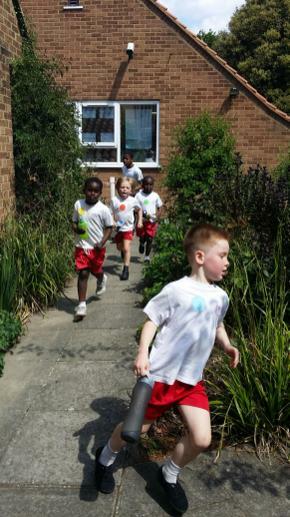 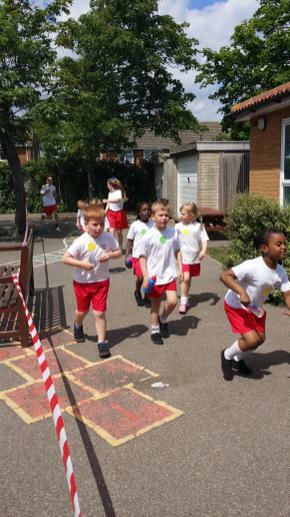 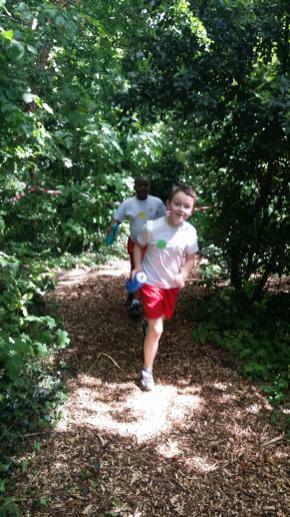 The children ran laps of our playground, field and forest - each lap measured 0.5km and some managed as many as 10 laps. 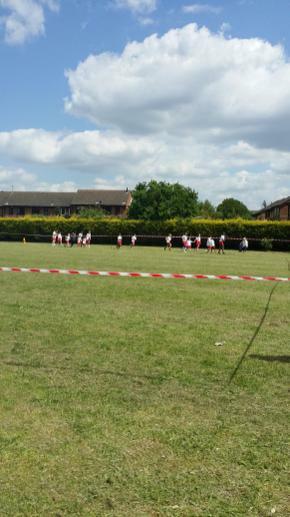 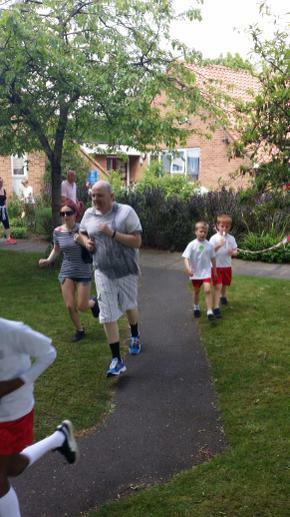 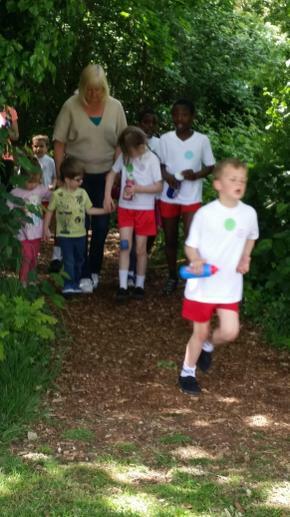 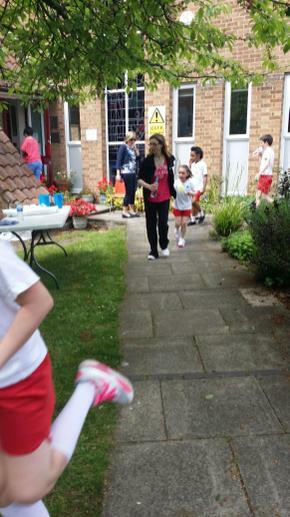 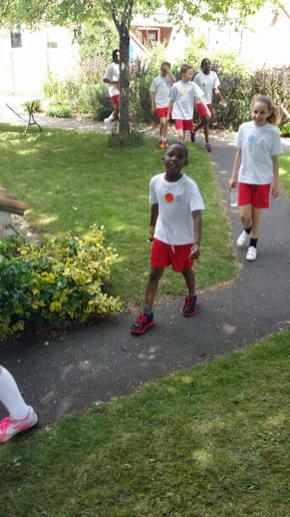 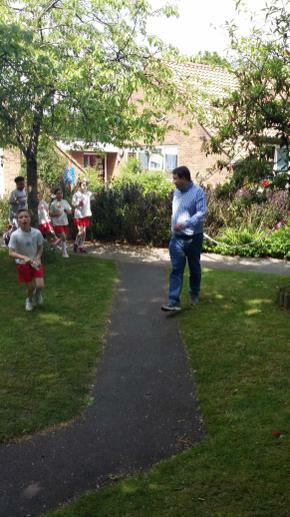 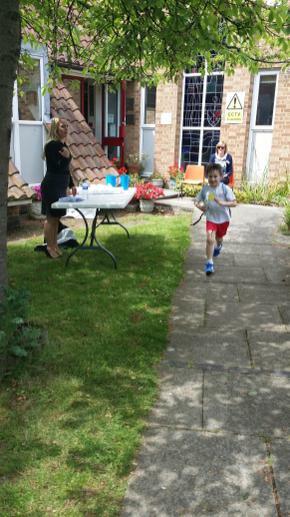 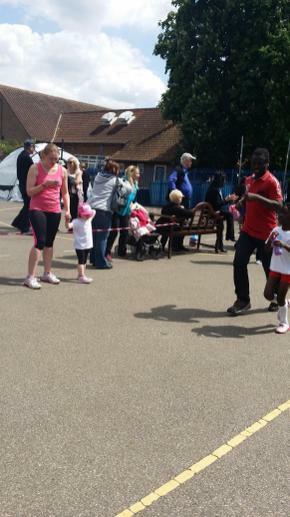 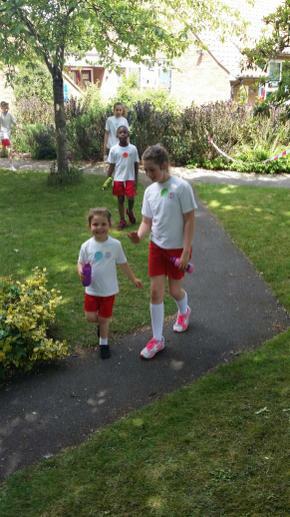 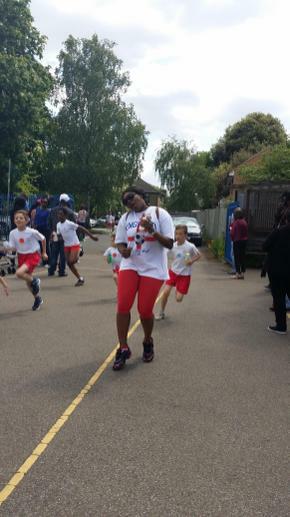 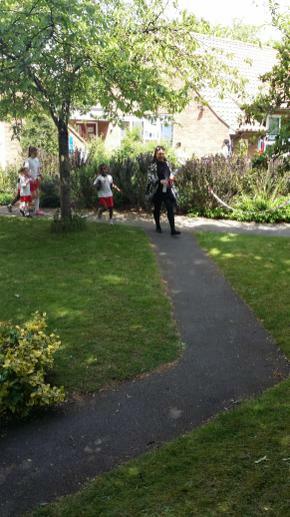 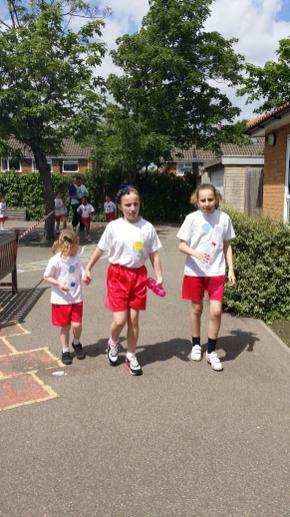 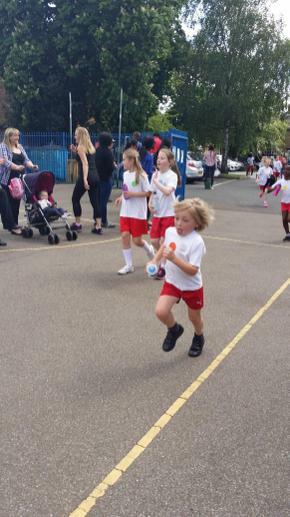 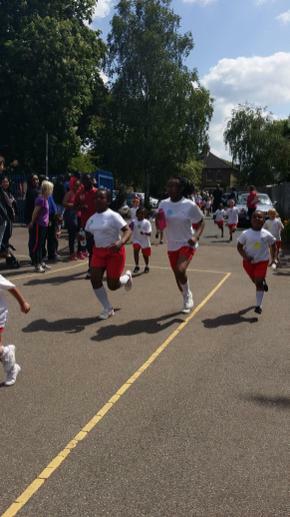 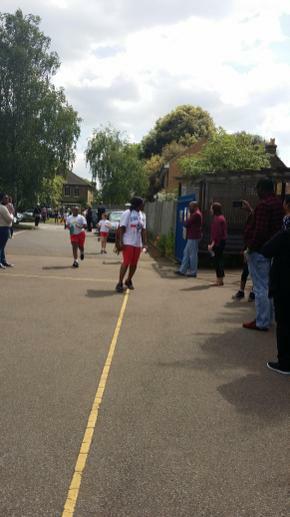 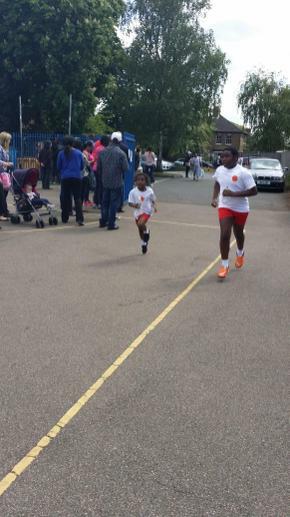 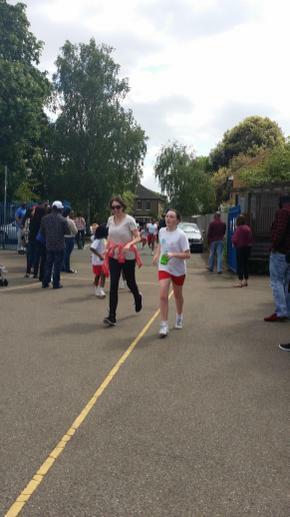 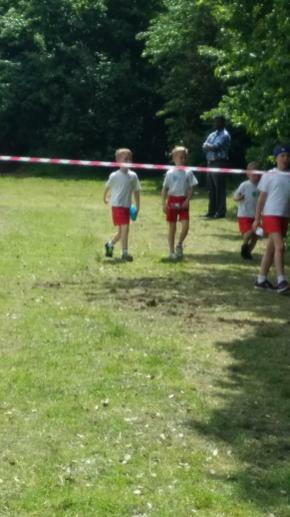 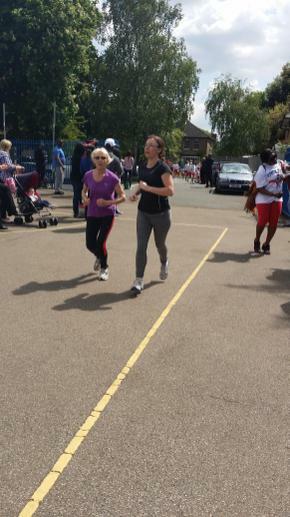 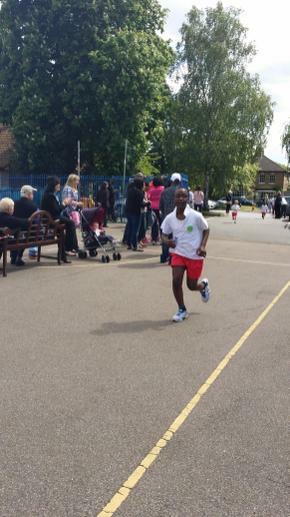 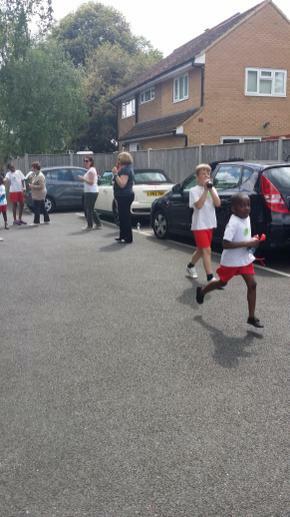 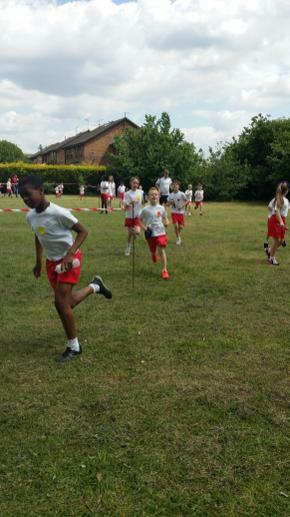 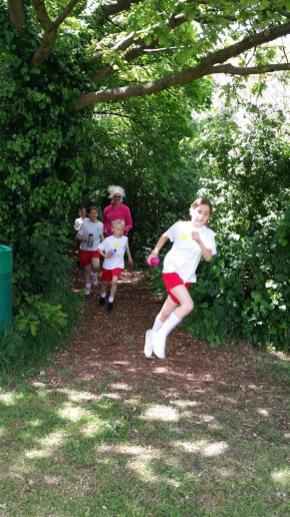 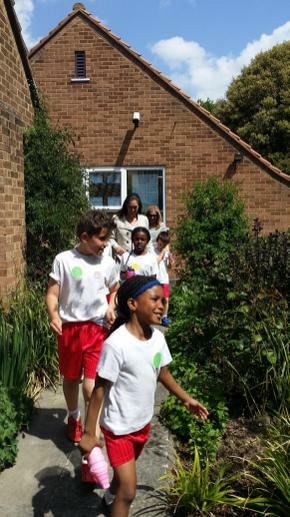 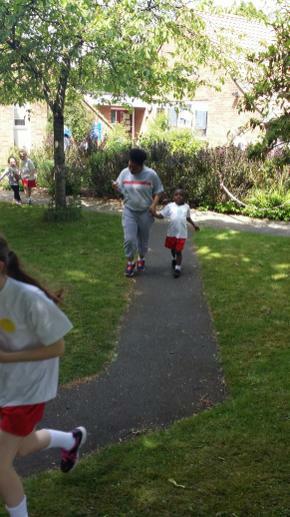 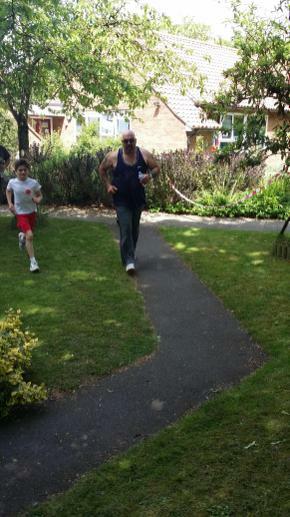 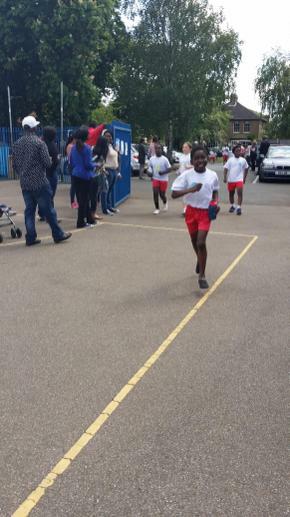 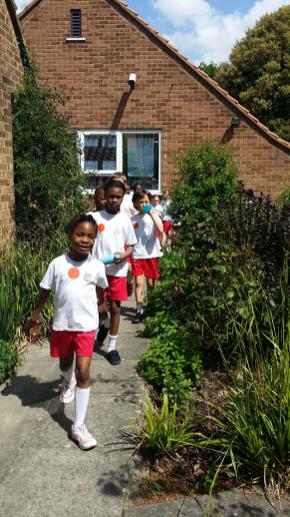 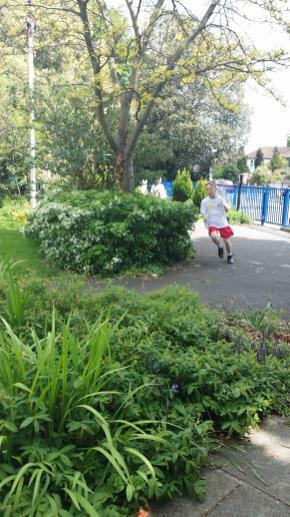 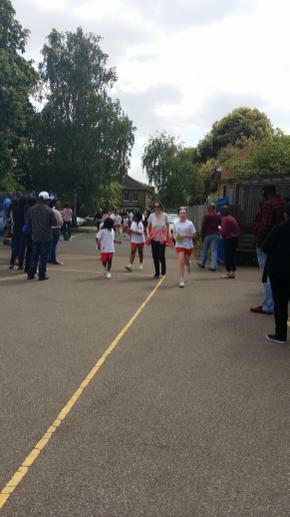 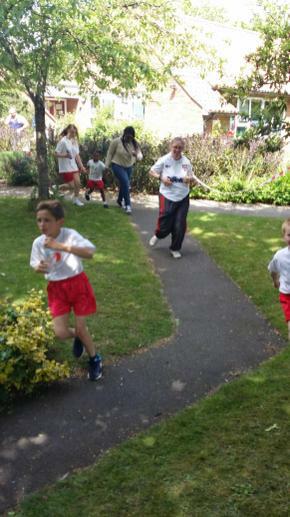 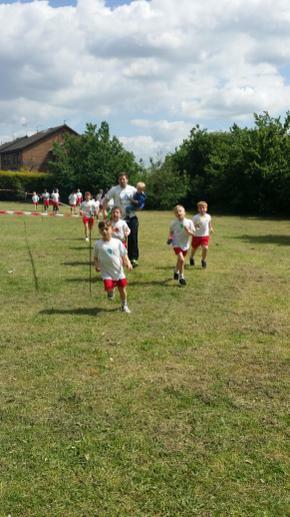 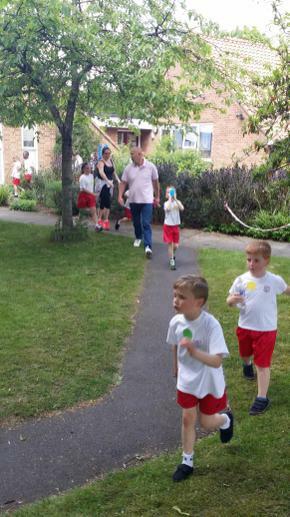 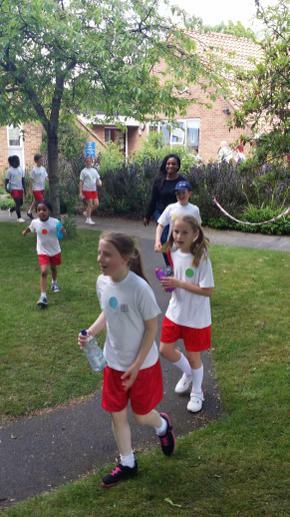 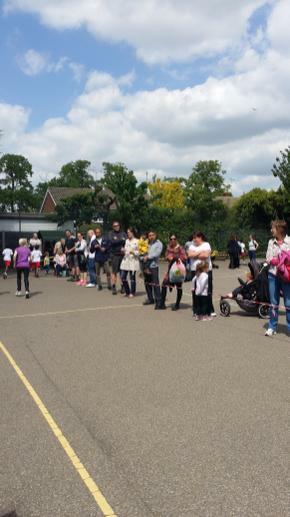 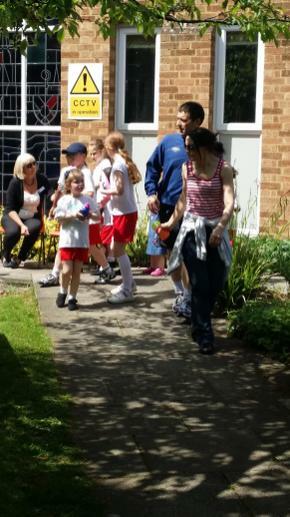 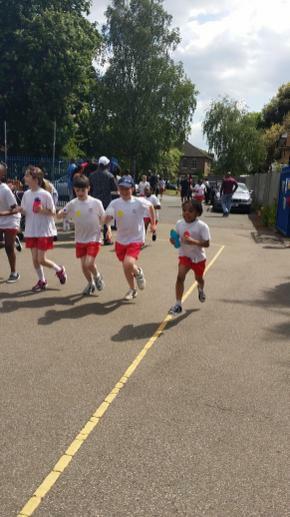 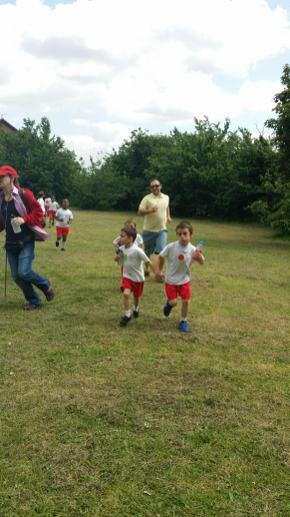 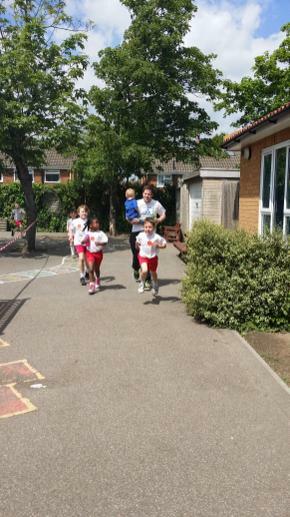 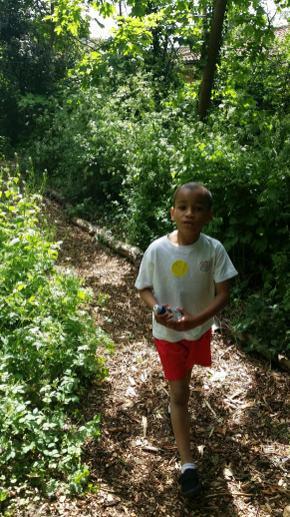 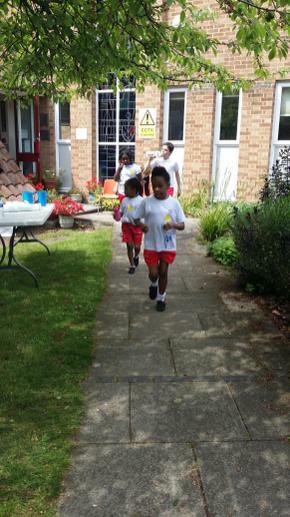 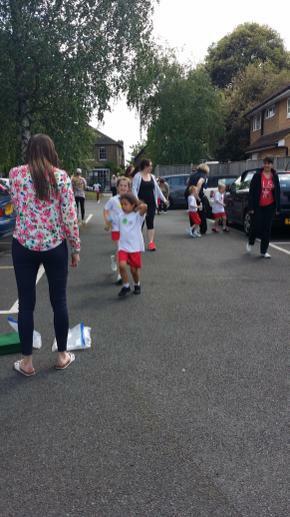 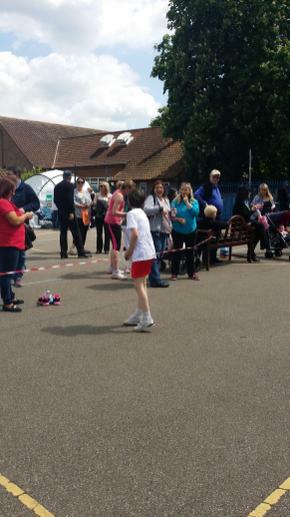 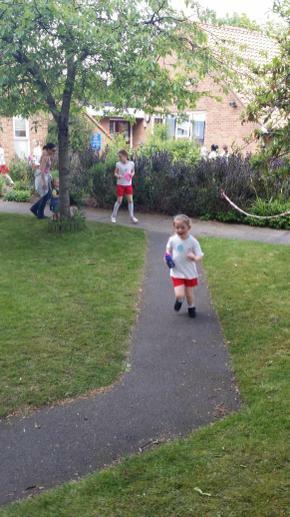 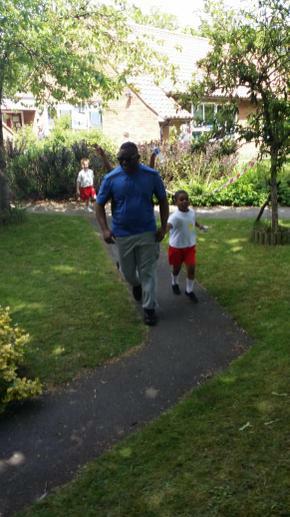 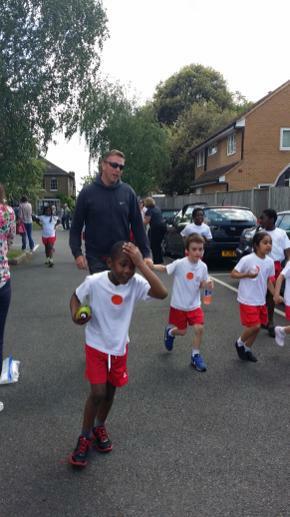 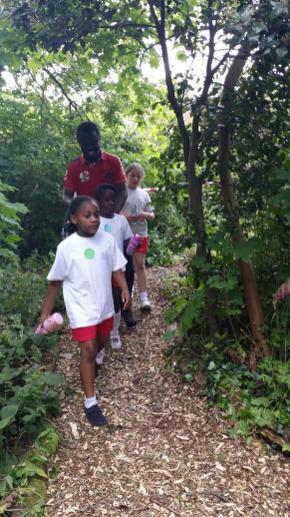 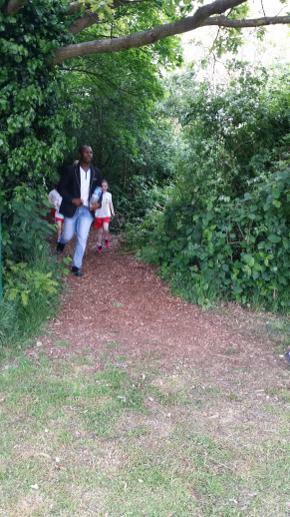 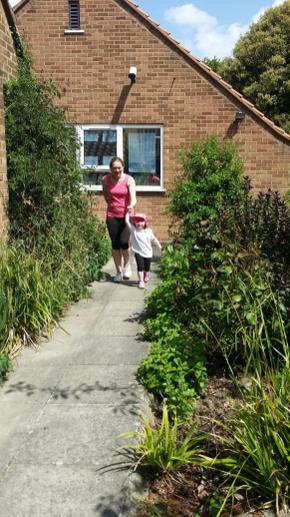 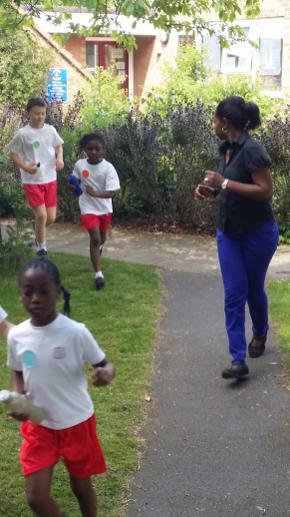 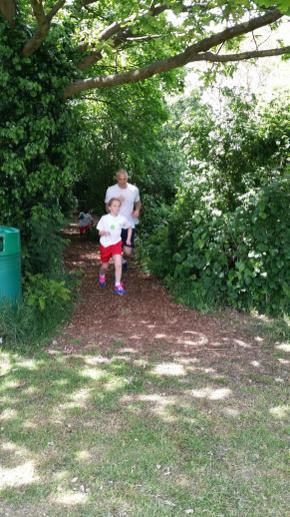 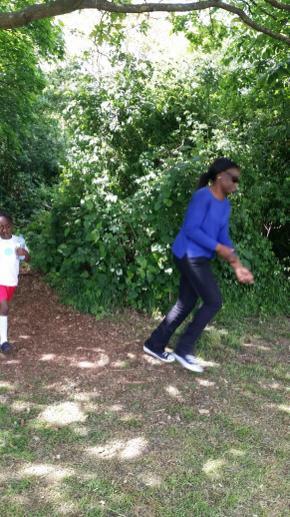 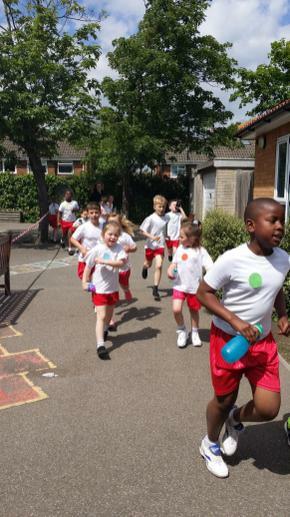 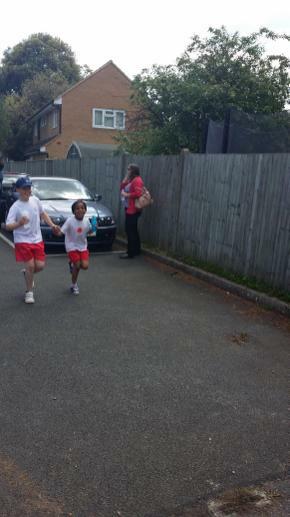 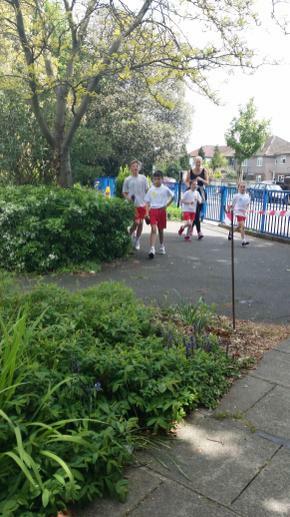 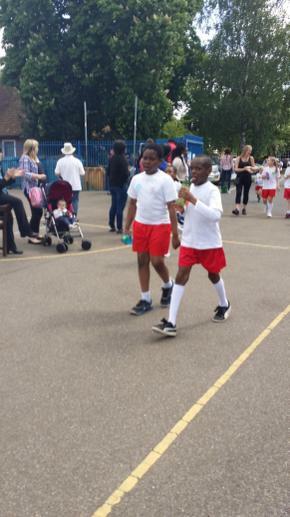 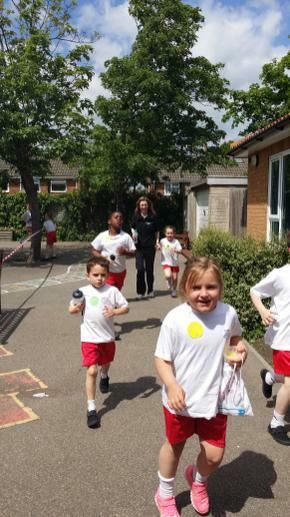 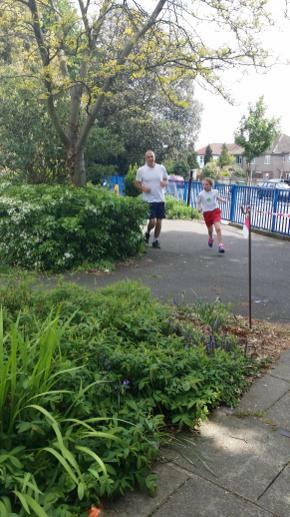 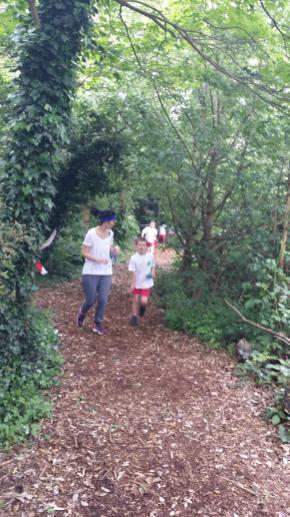 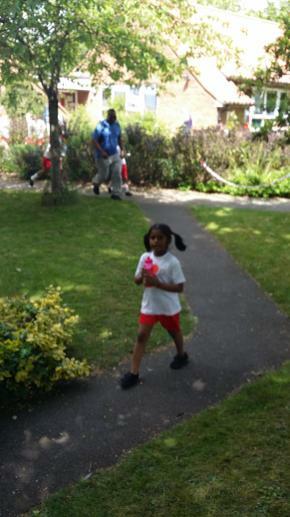 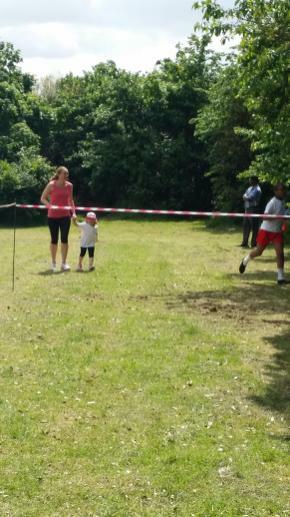 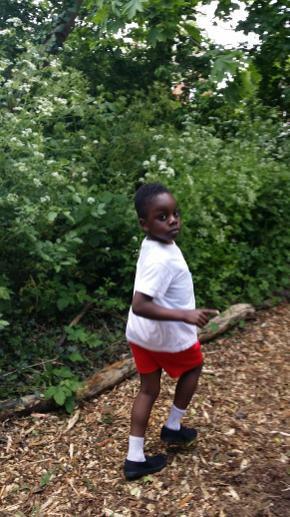 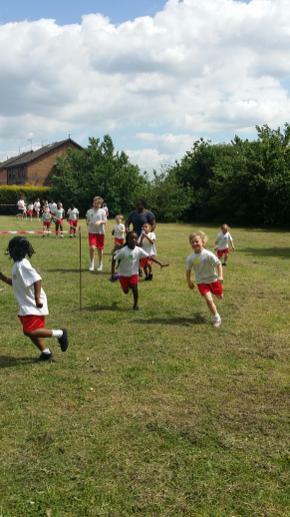 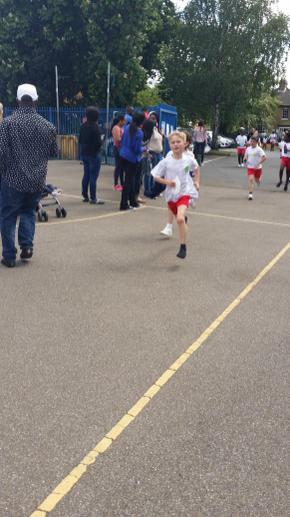 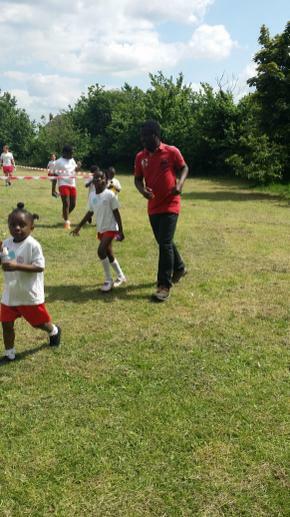 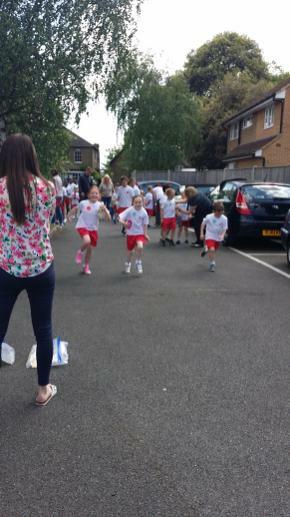 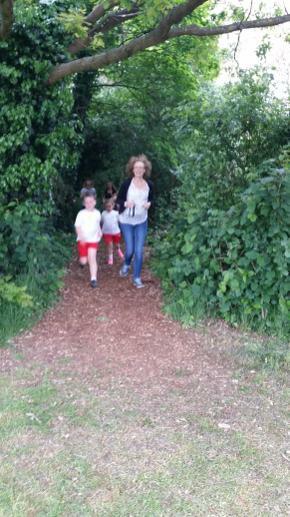 Thank you to all the parents and families who came to watch or run along with the children. 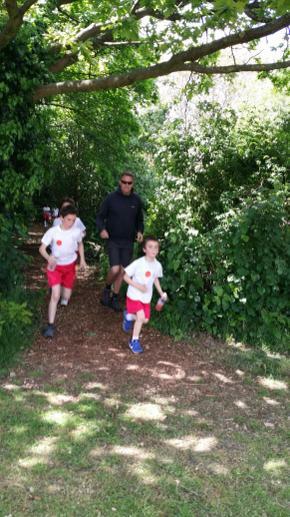 I would also like to thank all the helpers who volunteered to be a marshal and sit at points along the course to help cheer the children on and direct them. 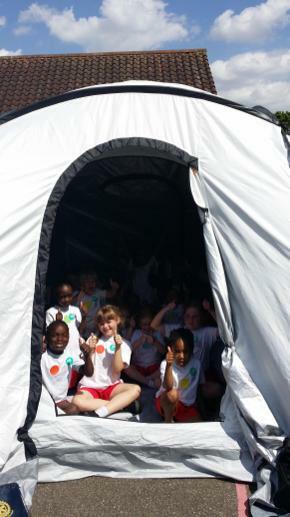 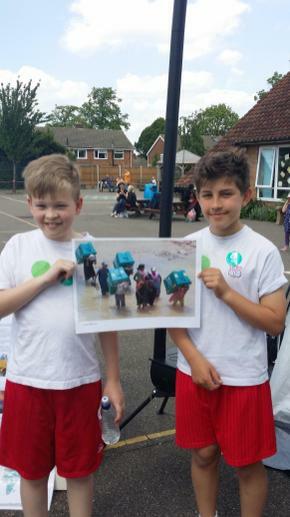 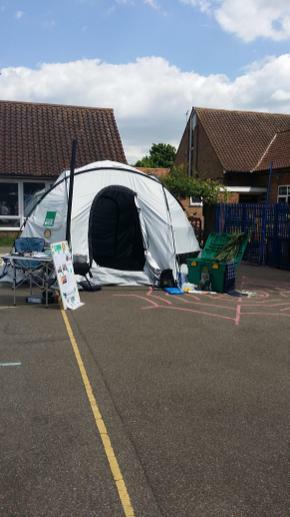 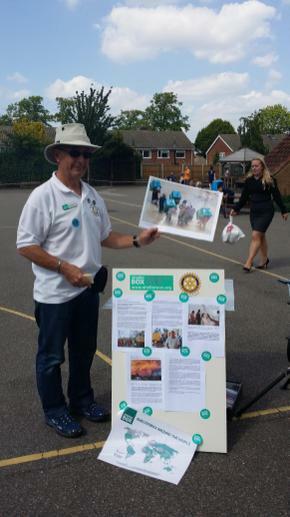 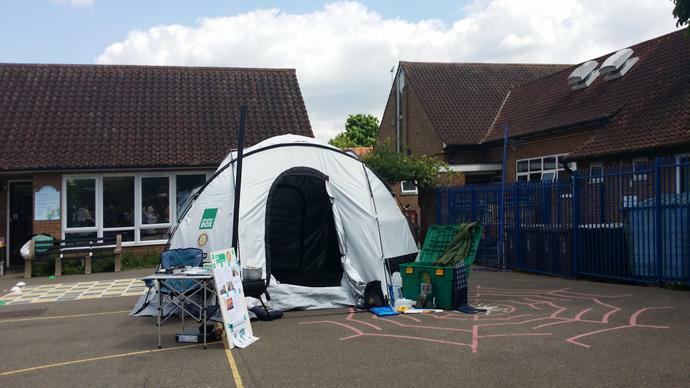 Bob Grieves (from Shelterbox Charity) also came along to show us what we are raising the money for. 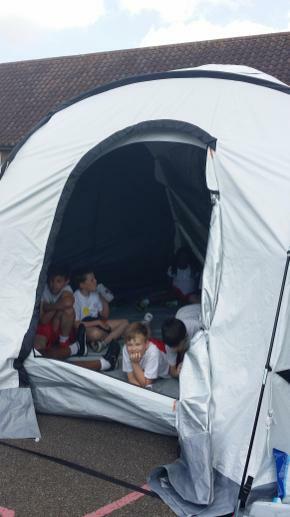 He brought a box and put up a tent in the playground. 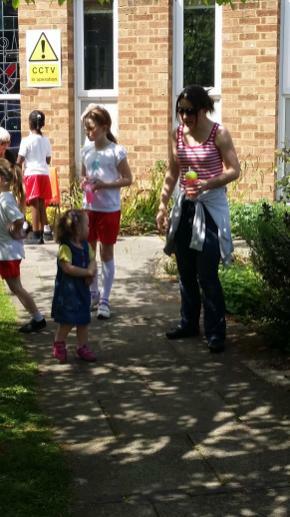 Thank you to the PTA for setting up the drinks stall. 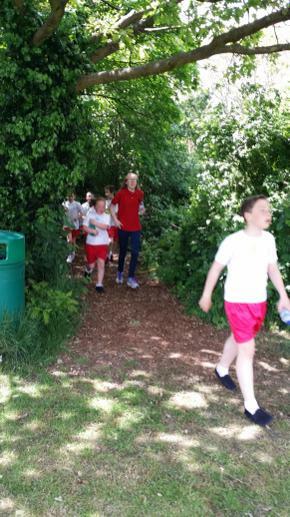 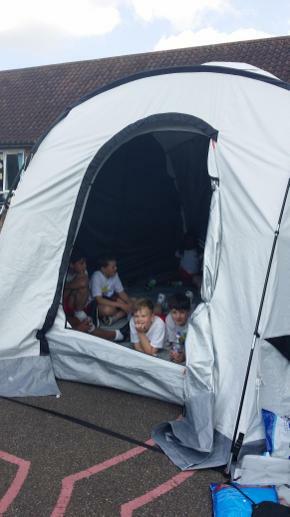 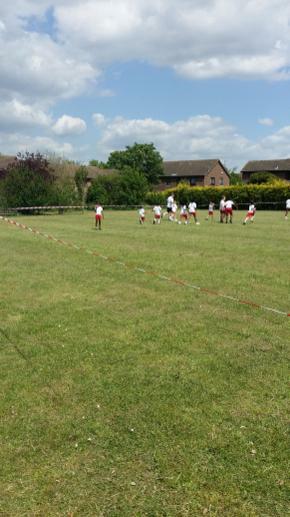 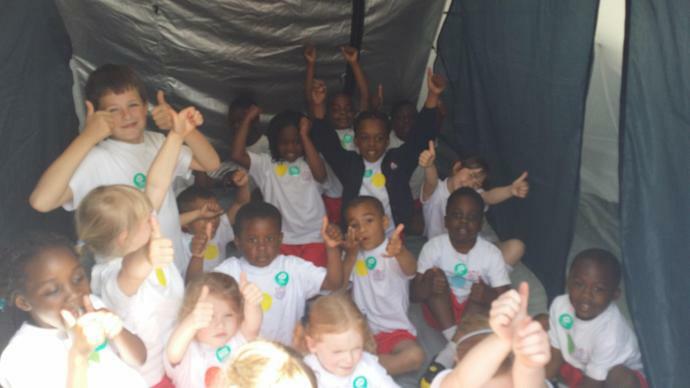 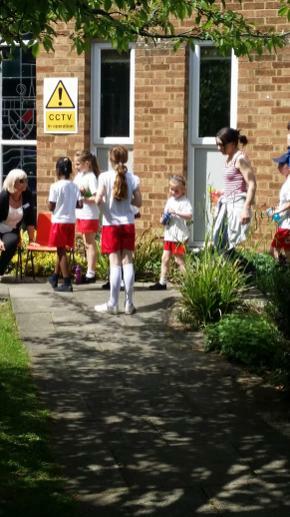 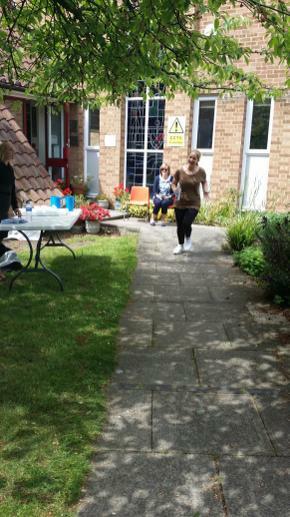 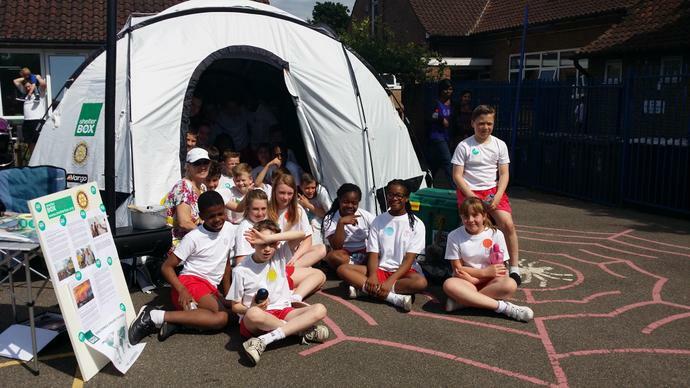 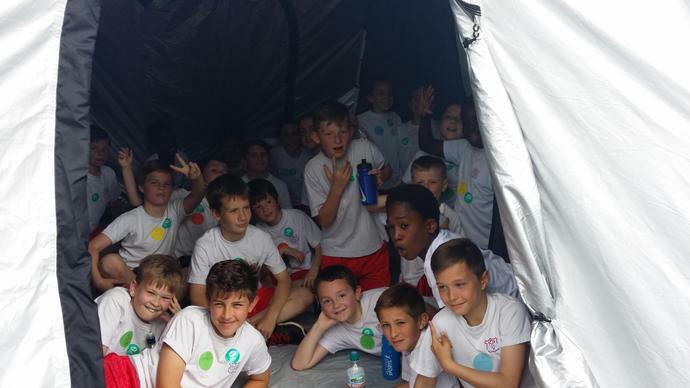 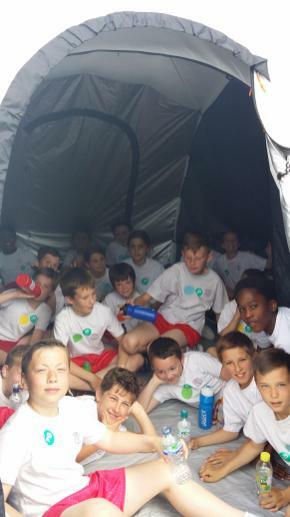 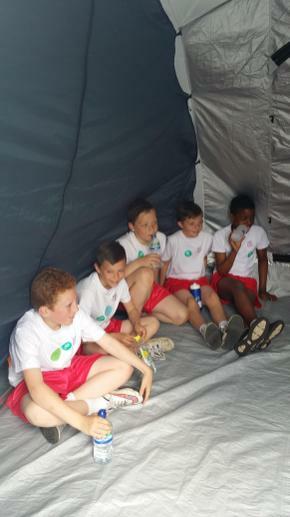 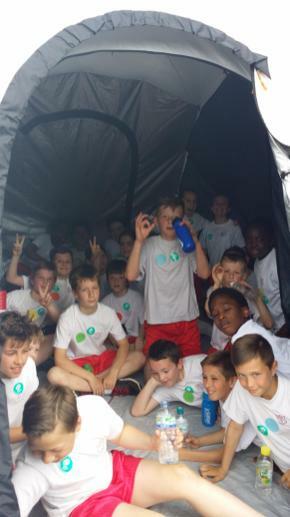 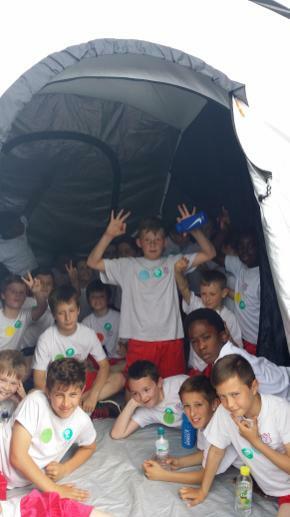 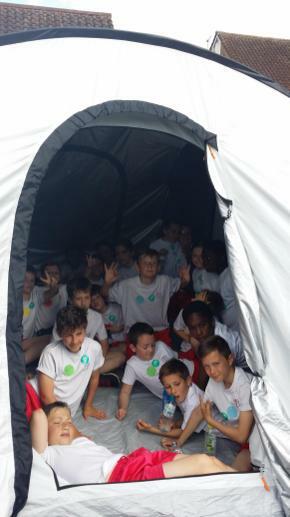 We would also like to thank all the staff for helping to encourage the children, mark off their laps, entertain them once they had finished running and make sure first aid and water was on hand. 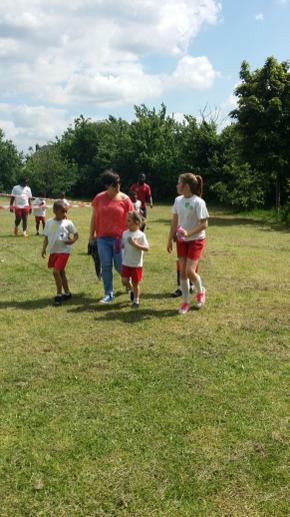 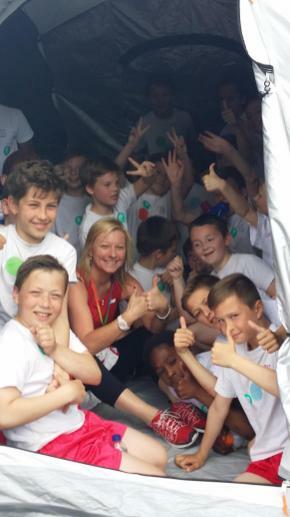 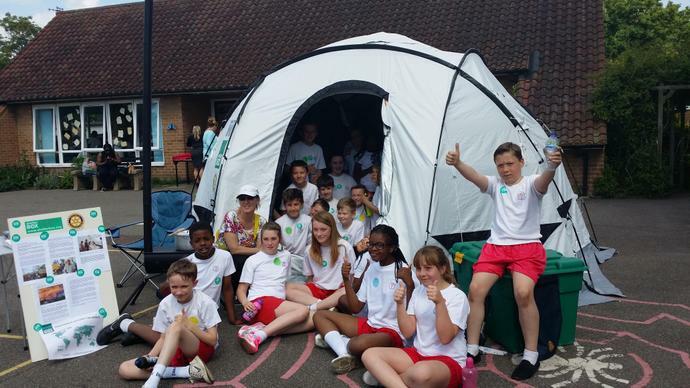 Mrs Bennett organises this event and I am sure you will agree she does an excellent job of making sure everything runs smoothly and it is an enjoyable day for all.